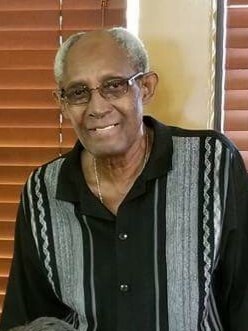 Obituary for Mr. Leroy Amos Rodgers | Austin A. Layne Mortuary, Inc.
Mr. Leroy Amos Rodgers, passed away on Thursday, January 17, 2019. The Homegoing Celebration for Mr. Leroy Amos Rodgers will be held on Monday, January 28, 2019 at 11:00 AM at Trinity Mt. Carmel Missionary Baptist Church, 11755 Mehl Avenue, Florissant, Missouri 63033. The Interment will be in Jefferson Barracks National Cemetery. A Time of Visitation for Mr. Leroy Amos Rodgers will be held Monday, January 28, 2019 at 9:00 AM before services begin.